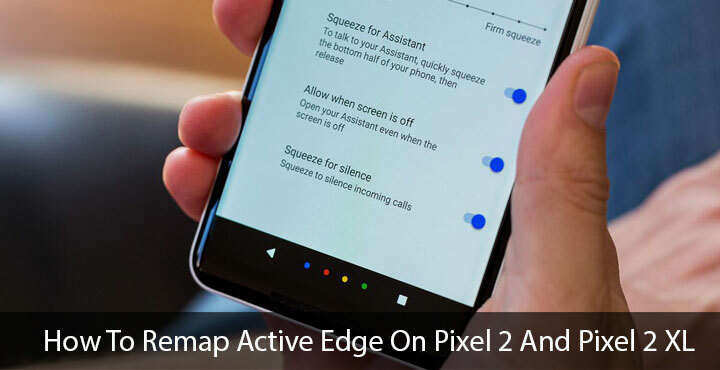 The Google Pixel 2 and Pixel 2 XL come with an Active Edge feature. It lets you launch Google Assistant or silence incoming calls by squeezing your phone. But there is already a way to launch the Google Assistant and why users would need another can be debatable. But like the Bixby button on Samsung Galaxy S8, this is the first thing many people want to change about their new devices. HTC was smart in providing built-in settings for the squeeze feature on its U11. But Google does not want you to remap this gesture to launch anything but Google Assistant. This is already evident from the fact that there are no settings provided for the same. But the search giant also went ahead and hardcoded the SystemUI to only allow Active Edge to work when the Google Assistant is set as the default assistant. Thus, making sure you’re not using squeeze to launch Cortana or something else. But as was the case with Samsung’s dedicated Bixby button, workarounds were bound to pop up at some time. Many developers have already been looking for those and one of them has already found one. Button Mapper by flar2 uses a combination of an Accessibility Service and reading system logs to detect when the user squeezes their phone. This makes the app able to hide Google Assistant and instead perform a user-defined action. Button Mapper is not an app specifically designed to do this, however. The functionality has just been added in a recent update. Originally, Button Mapper, as the name suggests, was used to remap hardware buttons a device. That’s a simplistic explanation of what the app basically does. Some of the functionality of the app is locked behind a one-time license payment. Luckily remapping the squeeze feature on Pixel 2 is not one of them. Just to be clear, this won’t be as easy as simply installing the app. 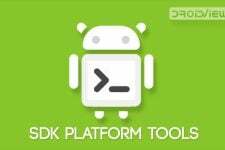 It requires a bit of an effort on your part, requires the use of ADB and you may even lose some Assistant functionality. Also, this is a rather hacky solution and Active Edge is not actually being remapped. Squeezing your device will still open Google Assistant, but it won’t be the only app detecting the squeeze anymore. Button Mapper can detect the squeeze too and quickly hide Assistant to do something else instead. Sure it’s not a perfect solution but this is your only option right now if you want to use Active Edge for launching something other than Google Assistant. You can see it in action in the video below provided by flar2. Button Mapper Android app version 0.53 or higher. Make sure Active Edge is actually enabled on your device. Launch the Button Mapper app once installed and read through the setup pages. At the bottom, you’ll see a small bar asking you to enable Accessibility Service for the app. Tap Go and you’ll be redirected to your device’s Accessibility Service page. Toggle the service on for Button Mapper. Back on the Button Mapper app, under the Buttons header, select Active Edge and tap Customize. The app will then ask you to connect your phone to your PC and run a script. So let’s do exactly that. 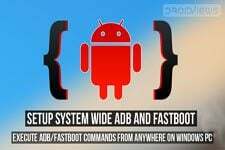 Connect your phone to your PC via a USB cable and launch the ADB command interface. Depending on your OS, this will either be a command prompt window or a terminal window. Type the following command in the command prompt/terminal window and hit Enter. This will run a script granting the app the permission to read system logs, which we’ve already mentioned the app requires. You only have to grant this permission once until you re-install the app. On your phone, Button Mapper will ask you to restart it, so do that. When the app restarts, you can now customize Active Edge to open anything you want.